classmate Stephen's camera-thus, the removal of the usual watermarks. PAG-ASA reports that summer in the Philippines this year starts on the first week of March. Despite this, it almost always like summer here in Davao City that summer activities such as diving can be made even as early as February. 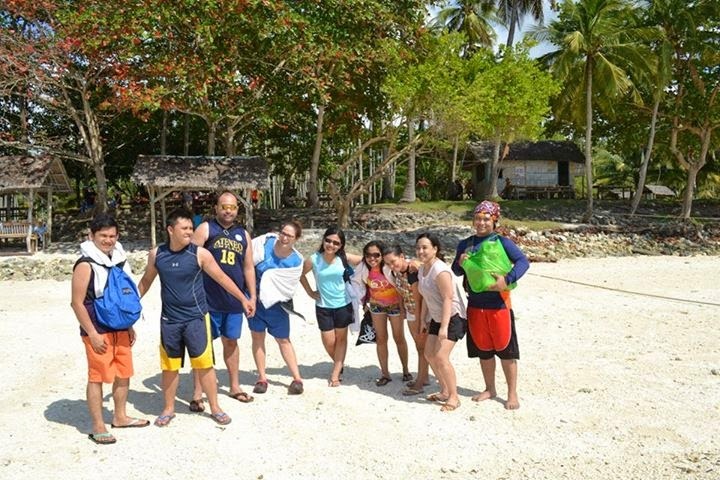 My classmates and I had planned to go island hopping since last year after our B1 French Class but since the holiday season was so busy for the rest of us, it was only last Feb 19 that we were able to realize our plans. Thank God for Chinese New Year. 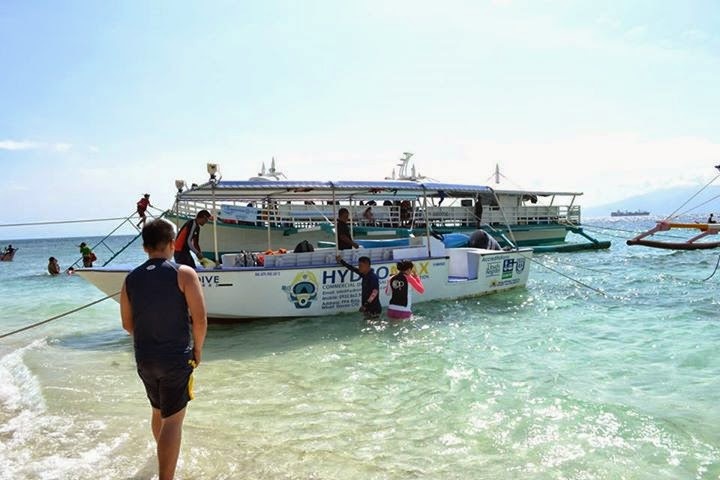 We were able to book with Wind & Wave for PHP1000 per person (minimum of 10 persons) for an island hopping trip with Scuba Diving. At first, I was a little hesitant to try Scuba Diving. My mother used to tell me that I have a phobia of water. I do not know if it's true but I don't like submerging my head in water without the protection of a mask. Since we were kids, we would always go to the beach but I've never learned how to swim on my own without a life vest or a standby floater since I easily panic whenever I realize I'm in the deeper portion of the beach. 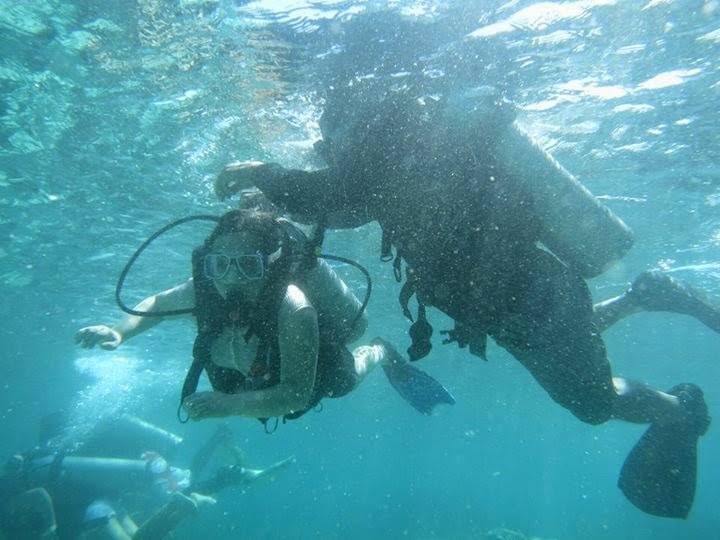 Nevertheless, I was taught by my father to snorkel. 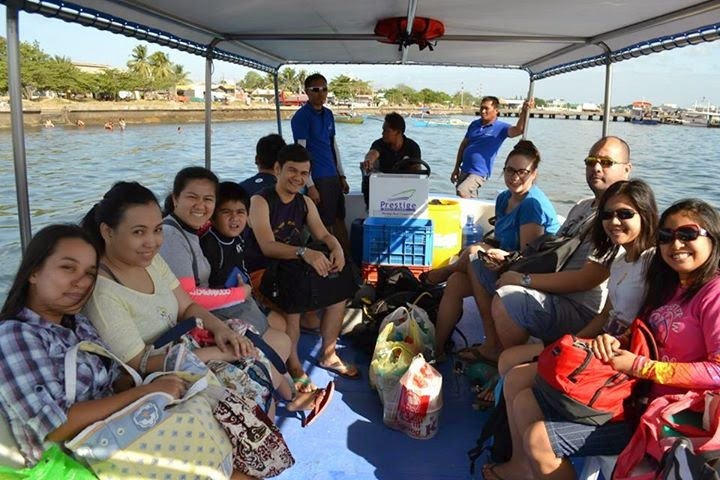 A few years back, My officemates and I also went on an island hopping but the pump boat we rode was bigger and it was to my surprise that we were riding a smaller one that day- a small speed boat. I admit, I was gulping hair when I saw it because I know how rough the current can be especially by afternoon and it isn't even summer yet. And so off we went, my heart beating faster than the ordinary as we experience occasional bumps. Finaly, we arrived at Talicud/Talikud Island. 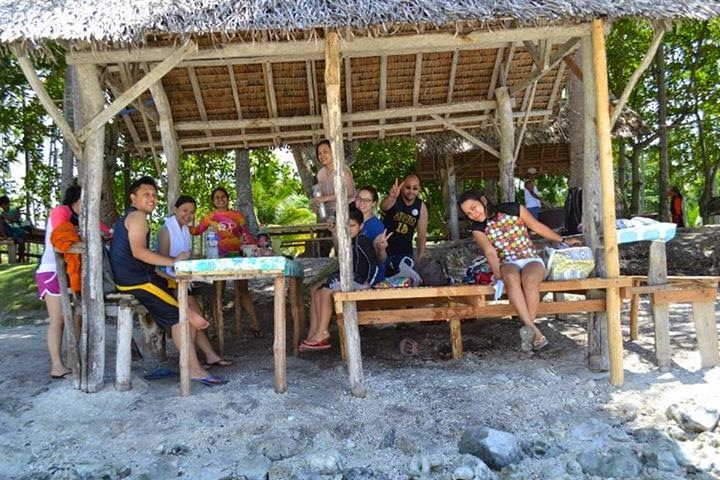 It's an Island in between Davao City and Samal Islands. 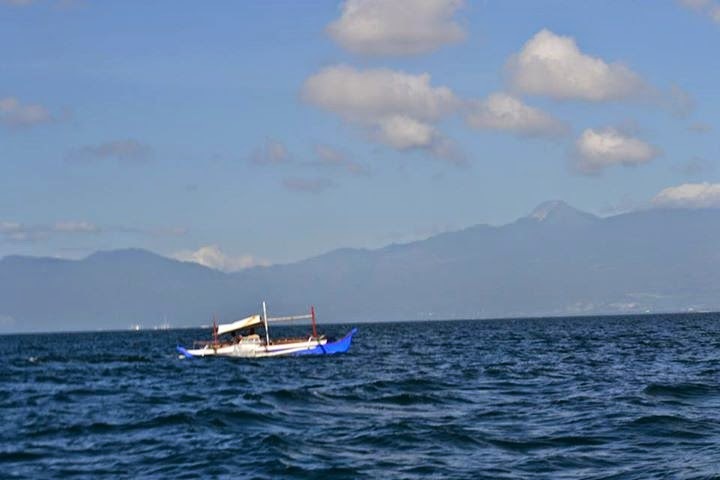 This is where popular diving spots are located such as Angel Cove and Coral Garden. We decided to go to Coral Garden since the diving instructor told us that there were more corals in the Coral Garden. So we were given a brief on how to dive. The cool thing was we go into threes and everyone gets a spotter/diving partner and another diver takes our pictures underneath the water. As a first timer, it was so nice to have someone do the adjustments for me if I want to go deeper or not so I just have to concentrate on getting used to being underwater. I am scared, but I didn't want to pass this opportunity and so, I volunteered to go first on the second batch. LOL! The diving instructor helped me with my oxygen and managed to find me fins that matched my size since I have small feet. When the told me to get off the speedboat, I felt myself panic a bit. I was lying on my back while the partner was waiting for me to adjust. I tried to rollover and do some tests but each time my heart beats faster and I end up choking on my mouthpiece. I realized-maybe I did have a phobia of water or I was claustrophobic. Each time I try to finally go down, my heart panics and I imagine myself like I was inside a close aquarium with a lid on top-very similar to that scene from the movie Valentine where Denise Richard's character was trapped in a sauna. It was only when my closest classmate started diving that I finally "let go" and decided to follow her. 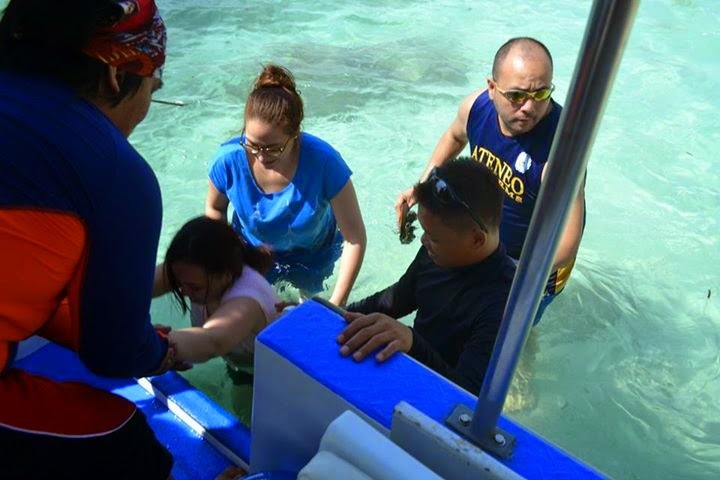 It was her second time and she was even allergic to salt water but she was already diving and enjoying. I let go and finally forgot about my fears. 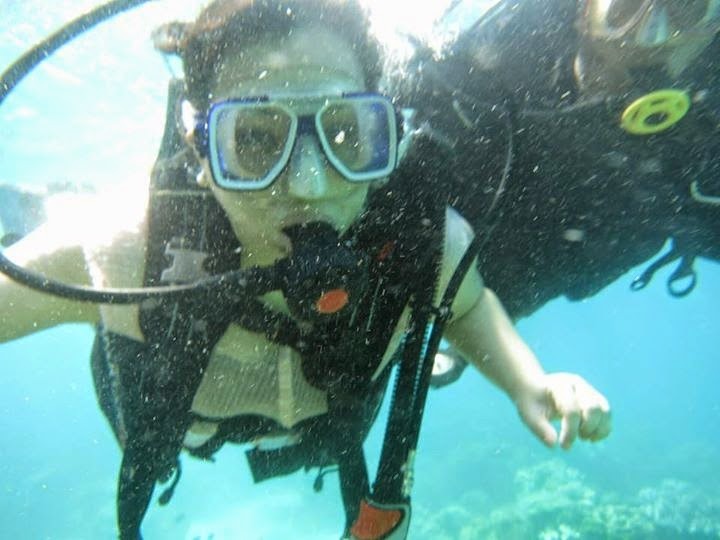 Slowly, I was able to ask my instructor to lower me into the depths of the ocean. 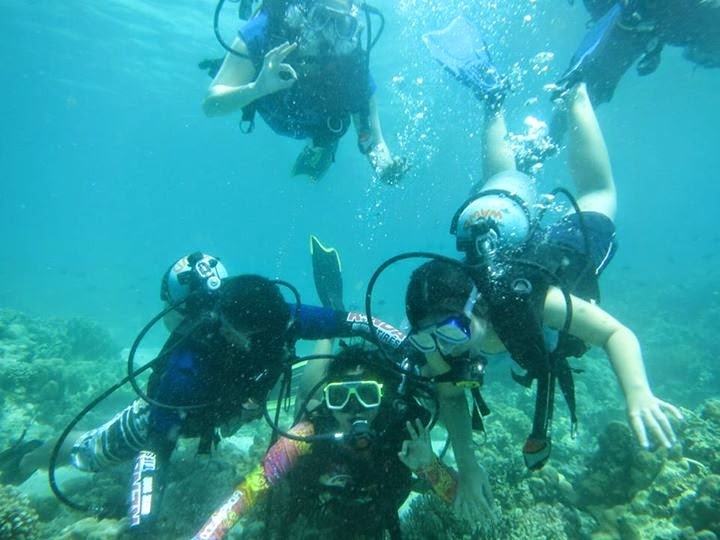 I was able to touch corals and see the beauty of the underwater. It was like flying over mountains except I was in water. I didn't ask t go deeper since I just had my bout of allergic rhinitis that morning when I managed to inhale my father's strong perfume. Sorry Bulgari- but you make me sneeze a lot! After our excursion, we docked at Babu Santa, our German Teacher was right. It was the most beautiful beach I have seen. Various gradient of ocean blue kissing the natural white sand. I can't get enough of it. We had potluck for our food but also bought some at Babu Santa since they also sell meat but you have to grill it on your own though. Docking Fee + Cottage use is PHP300.00. It was so hard to get back on the speed boat-that I looked like a pig being dragged on board. It got quite windy at 2pm in the afternoon so we were advised not to got to Angel's Cove anymore but they would let us go near (no docking) at the posh Pearl Farm Resort. 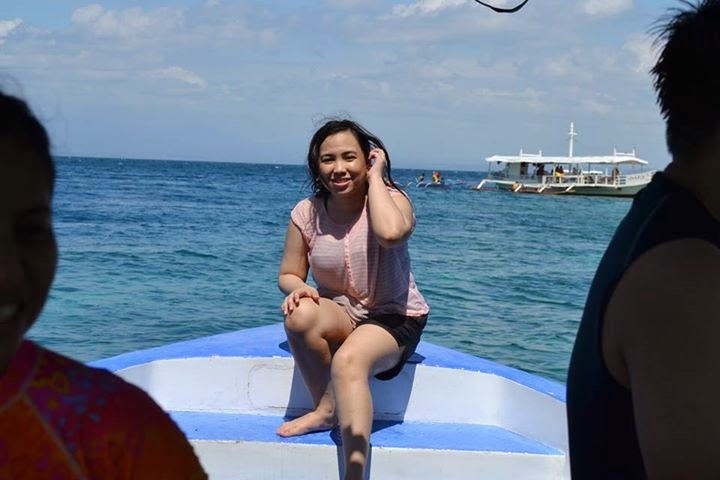 We were warned about strong currents and waves-and boy was the ride crossing from Talicud to Samal so bumpy. I was squealing (obviously not in delight) every other minute especially when our small speed boat bobs up and down. Pearl Farm Beach Resort- posh amenities but super expensive. The Sky was getting cloudy. When we reached Sta Ana wharf it was starting to drizzle. 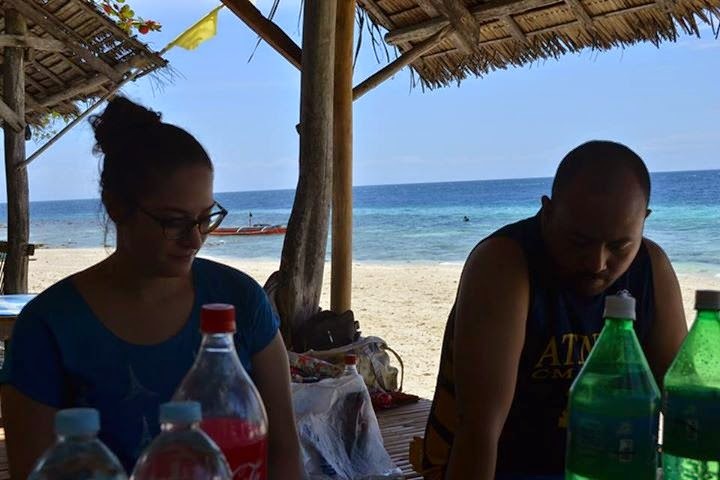 Not bad for my first time scuba diving experience. At least I've gotten over my phobia and faced my fears. I can't wait to go on another diving experience hopefully soon.